Students from Ron Dearing University Technical College (UTC) have brought traditional Christmas decorations into the age of 3D printing. Learners aged 14 and 15 at Hull’s employer-led school were challenged by Project Aura – a renewable technology partnership led by the University of Hull – to design decorations using environment-friendly materials. It was a chance for the engineering design students to think creatively while working to a comprehensive brief and under the type of conditions and constraints they can expect in industry. The best designs moved to the production stage and were manufactured using the school’s 3D printers, before being displayed on a 10ft Christmas tree at the ergo centre, the hub for renewables and environmental technologies at Bridgehead business park in Hessle. They included festive favourites with a twist, such as miniature Christmas trees, Santas and a “Rein-Dearing” design. 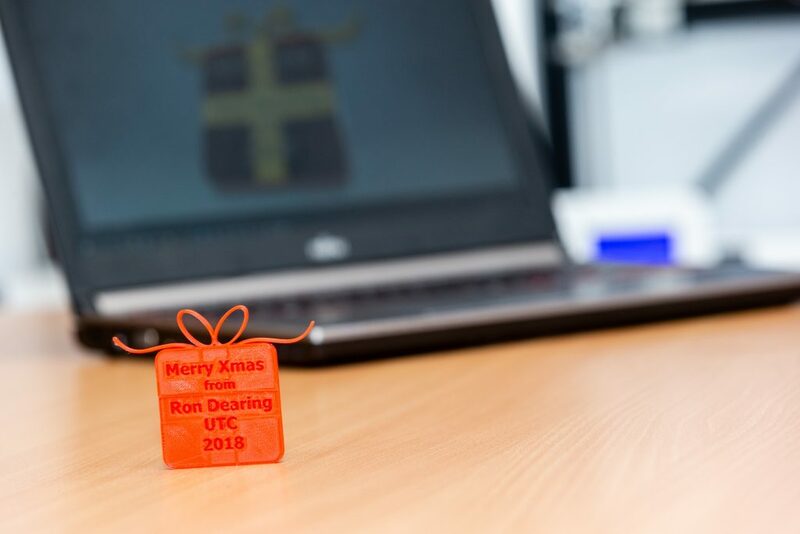 Glenn Jensen, Head of Engineering at Ron Dearing UTC, said: “Rather than set a simple Christmassy task, we gave students the sort of design brief they can expect to receive when they start working in industry. “We asked them to include the Ron Dearing UTC branding, logo and colours within their designs, so people will be able to see where the decorations are from. 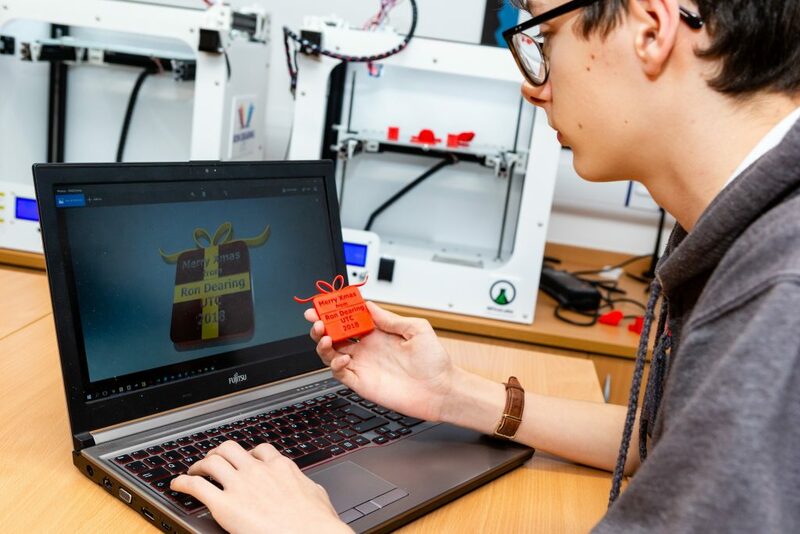 About 20 learners from Years 10 and 11 used industry-standard CAD (computer-aided design) software and a rapid prototyping process, in which working models of designs are quickly created using 3D printers, to help perfect their decorations. Another learning outcome involved developing a production plan, taking into account factors such as whether their decoration would be a single-piece design or had multiple parts and how they would fit together. “They had to develop a prototype and think about how their design will be manufactured, such as whether it is suitable for 3D printing,” said Glenn. Engineering design student Kelham Hillier, who took part in the project, said: “Learning CAD skills has enabled me to use my imagination to create 3D designs that look like real products. Project Aura is a partnership of the university and other organisations focused on developing renewable technologies in the Humber region and shaping the future of low carbon energy. The completed decorations will be on display ahead of an event staged by the Green Port Hull partnership at the ergo building. The project illustrates further Ron Dearing UTC’s powerful partnerships. The University of Hull is a Founding Partner and lead educational partner of Ron Dearing UTC, while Green Port Hull is a Major Partner. Be the first to comment on "Ron Dearing UTC students bring Christmas decorations into 3D printing age"